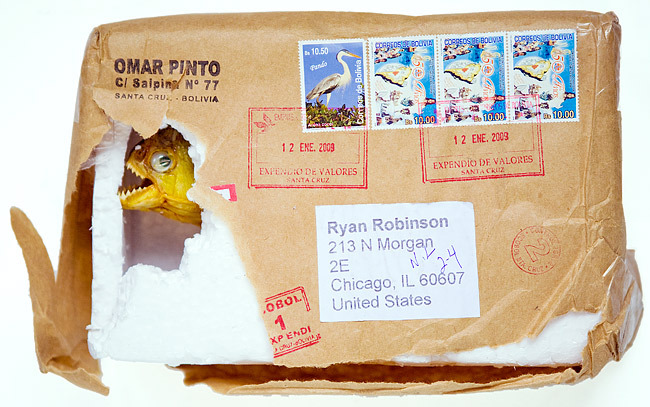 RYAN ROBINSON LOVES YOUR FACE: Speedy delivery from Bolivia! Look what just arrived in the mail today! My model, Pepe, from Bolivia! He's part of a new concept image I'm working on. I just can't wait to photograph him and his little buddy who is still inside the package! Keep tuned for his final resting place in my portfolio! !